Infuse your week with the joy of kirtan! An enchanting evening of timeless mantras intertwined with spirited melodies awaits as you relax in the glow of the captivating full moon. 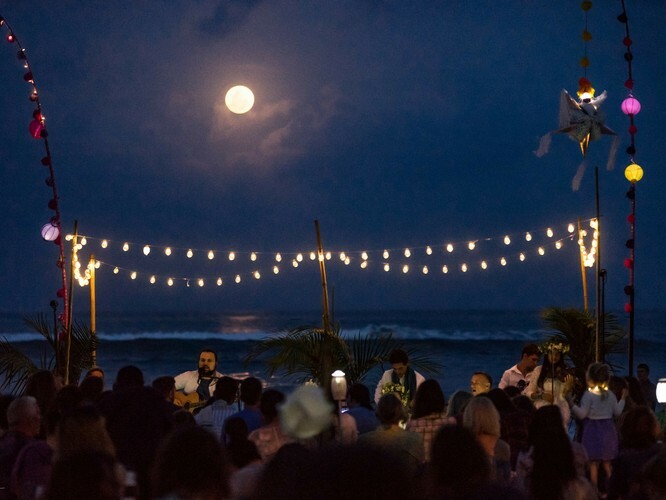 Find out why our full moon kirtans are the biggest sacred music events of the year, with hundreds of souls coming together to soothe mind and heart in the comforting embrace of spiritual sounds.